In April 2015, the softball community suffered a tremendous loss with the passing of Broad Run High School senior captain Madison Small. 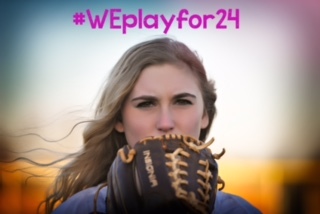 Madison was a four-year varsity softball player for the Spartans. Like so many other softball players, Madison began her softball career in the Ashburn Girls Softball League 8U house division. As Madison began to develop her softball skills, she moved on to play for the AGSL Pride program and eventually the Ashburn Shooting Stars. During her travel softball career, she also played for the Vienna Stars, Baseliners, and Glory softball programs. Madison was a beautiful young woman with so many wonderful qualities. She was smart, athletic, kind, thoughtful, and hardworking. Madison was successful at every endeavor that she was a part of. She was the kind of child that every parent hopes to have. Madison was the kind of person that we all aspire to be. The world was a much better place with her in it. In honor of the contributions that Madison made to the softball community and for the important role she played in the Ashburn Girls Softball League, the Annual AGSL Scholarship was renamed in April 2015 to the AGSL Madison Small Scholarship. The scholarship is awarded annually to former AGSL players who have demonstrated sportsmanship, citizenship, and commitment to the game of softball that resulted in a positive impact on their own development and AGSL as a whole. This is precisely the type of player that Madison was. Funds raised from your participation in this tournament will go towards this annual scholarship that will be awarded to deserving high school seniors in Madison’s name.